The Encephalitis Society is a small charity based in Malton, North Yorkshire, which punches far above its weight. Our work is varied and consistently of a high standard. We offer support on a global scale, produce work which is used widely in the NHS, fund research into encephalitis and, earlier this year, reached over 40 million people with our message on World Encephalitis Day. Such is the esteem in which we are held that we can attract supporters who are among the leading experts in their respective fields in the medical, academic, media and celebrity worlds. For over 20 years FareShare has been rescuing good, in-date, surplus food and redistributing it to charities and community groups across the UK. Notably in 2016/2017 we doubled the amount of groups we support and provided 28.6million meals to vulnerable people by implementing three key measures. By demonstrating initiative, collaboration and industry knowledge, we were able to: access more food across the supply chain; transport this food more efficiently to where there is need; and expand our services. Reprieve’s Campaign Team are a highly motivated and skilled group of individuals, fearlessly pursuing justice for those the world reviles, ignores or considers expendable, speaking truth to power, and exposing some of the worst injustices of the 21st century. They do so using a potent combination of supporter communications, media outreach, and imaginative advocacy. As many of the individuals Reprieve assists suffer situations in which they cannot access justice through traditional legal means, the work of the Campaigns Team serves to shift the debate around the issues to which Reprieve is committed, directly defending the lives and liberty of hundreds. ClientEarth is Europe’s first and leading environmental law charity. In November 2016, ClientEarth won a landmark case against the UK Government at the High Court over its failure to tackle illegal air pollution across the country. It was the result of a six-year legal battle to protect public health. Our clean air case was the first of its kind in the UK, and it has sparked a wave of action across Europe. By using the law to protect the environment, we have demonstrated not just leadership, but a strategy that can deliver systematic change. Highly commended for successfully reviewing and implementing its strategy to widen access and create ever-more inclusive opportunities. bpas has achieved an extraordinary amount in 2016/2017; in terms of growth of service provision, clinical excellence, and political progress advocating for women’s reproductive rights. Our flagship campaign ‘We Trust Women’ was launched in March 2016, within a year we saw this culminate in the first pro-choice bill in Parliament in 50 years, the Reproductive Health (Access to Terminations) Bill. The Bill passed the first stage with the support of 172 MP’s from across the political parties. Simultaneously, bpas has implemented clinical improvements for the public to benefit from safe, accessible reproductive healthcare. The Disaster Emergency Committee’s efforts to sound the alarm about two difficult and little-reported humanitarian crises resulted in the launch of our Yemen Crisis Appeal in December 2016 and, a mere 13 weeks later, an East Africa Crisis Appeal. The two appeals have raised a combined total of £83 million to date. The funds we raise are mobilised immediately; DEC-member aid agencies have already helped 250,000 people in Yemen and are currently assisting similar numbers in East Africa. We aim to help up to 1.5 million people in Yemen over the coming year and as many in East Africa. SAPPER SUPPORT gives around the clock emotional and physical support to persons suffering from PTSD and associated mental health issues. Peer support and shared experience is utilised to overcome feelings of low-mood, self-loathing, worthlessness, survivor guilty, flashbacks and many other feelings. We are also able to fund initial assessments with clinical psychiatrists ( local to the callers ) to determine a diagnosis and speed up the process of access to treatment. Binti is a charity, with a mission to provide sanitary towels to all girls and women as a basic right, to dispel all myths, taboos and negative perceptions around periods and to improve empowerment and financial independence for women in emerging economies. Binti is headquartered in the UK with projects across the UK, India and Eastern Africa. Fossilised or future proof? That was the question our Hospice faced in 2013 when our finances were depleted and our rating by the Care Quality Commission was found wanting. For 30 years we had been comfortable and complacent, statutory funding was plentiful and legacy income abundant. Then things changed. This change project was about raising money, raising standards and raising awareness. 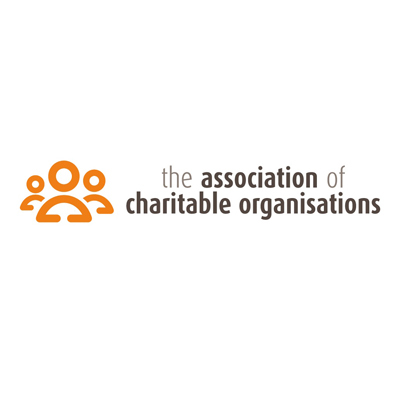 As many charities face uncertain times, this submission outlines a “hearts and minds” change programme that engaged the whole community and provides a blueprint for the third sector on turning round a failing charity. The Family Holiday Association celebrated its 40th Anniversary between January 2015 and May 2016. Through carefully planned campaigns we exceeded our fundraising target by 19% raising £1,271,416, enabling us to send a record 5,184 families away in 2016. We created a 40th Anniversary visual identity, re-engaged the travel and tourism industry through our 500 for 500 campaign and launched ‘A Million Smiles’ with our corporate partner TUI UK & Ireland raising over £1 million. We launched our national day Shades Day, raised our profile in new areas through Seaside Walk Week; leaving a lasting legacy for years to come. 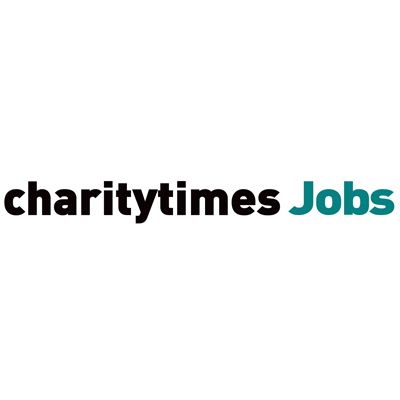 "I have worked in the charity sector for over 30 years and have never experienced such a passionate and driven CEO. When I started with PCUK there were only 6 staff and in the last 5 years the charity has been transformed into one of the most highly respected, authoritative cancer organisations in the UK. An organisation is only as good as its leader and the impact and influence the charity now has reflects the work that Alex has spearheaded. She has clearly demonstrated how one individual can provide inspiring leadership for a cause and a community, significantly changing thousands of people’s lives for the better." Sophie Andrews was approached by Dame Esther Rantzen to set up The Silver Line, her first CEO role, in September 2012. In just over three years she has achieved the extraordinary in delivering Esther’s vision of ‘a ChildLine for older people’ from scratch – starting with a local pilot to an established part of the national support network for some of the most vulnerable members of our society. 53% of callers to the UK’s only 24/7 free and confidential helpline for older people, have no one else to talk to – they often refer to us as a ‘lifeline’. In 2016 the MS Society successfully stopped the Government’s planned cuts to Personal Independence Payments (PIP). The planned changes to how PIP is assessed would have seen over 17,000 people with MS lose out on payments. In the worst cases, they would lose up to £150 a week. The Campaigns Team was responsible for coordinating an integrated campaign and in particular engaging and mobilising our passionate community – one of our most powerful attributes. Our ability to form partnerships with other charities and our drive to react to the fast-changing nature of the debate ultimately led to success. Independent Age launched its new website in June 2016. A key part of this project has been the development of an Information section, providing clear and accessible information and advice to older people and their families. This is intended to complement our existing public information in print, covering topics including money and benefits, social care, housing, health, and personal life. Making content available online allows us to reach the growing number of older people using the internet. It also allows us to react more quickly to keep guidance up-to-date, and to develop videos and interactive tools to provide more engaging, personalised information. The number of people with cancer is growing and there has never been a more critical time for cancer care to be prioritised. Against a backdrop of unprecedented scrutiny of charities, the Macmillan PR team worked diligently to ensure its messages were still heard and that the charity’s voice was still trusted. Using a clear strategy and a range of tactics across fundraising, services and policy influencing, the PR team achieved tangible and impactful results, that directly improved the lives of people living with cancer. We worked closely with journalists, who were more impressed by our work than ever before. Shivia is a small charity with a team of seven in the UK (trustees and executives) and 52 in India. We make a significant difference to families living in poverty in West Bengal by providing them with the tools and training to lift themselves out of poverty. We have changed the lives of thousands and thousands of very poor men and women and offered their children brighter futures. We also have other organisations wanting to replicate our model and in light of this we would love to be recognised for our efforts by winning this prestigious award. Addaction’s HR function is simply exceptional. It is considered one of the sector’s leading HR teams as a result of its knowledge around mergers and acquisitions and TUPE and as a result of delivering award winning learning and development particularly through bespoke online learning modules. The team helped the Director of HR become Interim CEO, one of only 5% of HRD’s to operate at this level without the need for backfilling this position for a period of 7 months. They are a truly remarkable group of dedicated HR professionals. Family Action’s innovative Safe Haven project, which supports very vulnerable young people in care to move forward, demonstrates how social investment can be used to facilitate the piloting of ground-breaking ideas despite continuing financial austerity. The financial model used for Safe Haven - a simple unsecured loan structure with sharing of both financial risk and upside - is equally innovative and eminently replicable. It provides a model for other charities and investors to learn from, use and adapt and demonstrates that radical innovation fuelled by social investment is possible if you have the drive and imagination to see it through. To meet the needs of our ambitious, new five year strategy; organisation rebrand; and biggest ever advertising campaign – we restructured our internal communications and engagement function and shifted gear to build and army of engaged ambassadors. Informed by the voice of our people, we transformed our ways of working and strengthened our evidence based approach and focus on strategically aligned outcomes. We launched our nine month internal comms campaign to engage our people – and great the momentum we needed to unite all our people against dementia. This popular enterprise programme for primary and secondary school children in London, Giffnock, and Cheltenham that has had a lasting positive impact on local communities. Developed in partnership with Whole Foods Market, Schools to Market utilises the unique expertise and market position of Whole Foods to inspire and teach school children to grow their own food, cook their own food, visit a farm and finally sell their own produce. The values of Whole Foods and School Food Matters align in this project to create a truly exceptional educational opportunity for thousands of children in UK. From our own experiences of corporate-charity partnerships we know our partnership is unique – we have come together as two powerful, leading brands to authentically address the strategic issue of online safety. Strategic because we know this issue is of importance to society, us, our customers, supporters, stakeholders and employees. Together we have embraced our individual and now joint role in raising awareness of this importance, engaging parents, partners and policy makers in the issue and of course delivering social impact through behaviour change. Individually we have great reach, but together this is far greater. The two organisations joined together to highlight and tackle the impact of loneliness in communities across the UK – responding to a serious issue identified by Co-op members and Red Cross volunteers. Since 2015, our partnership has raised an astonishing £6m to fund innovative services to connect lonely and isolated people back to their communities. Our pioneering research and impactful campaigning has changed public perceptions of the serious and widespread impacts of loneliness. We are building on this to develop our initial two year partnership into an ongoing programme that delivers long-term impact for individuals and on the issues. In June 2014, Yorkshire Building Society and Marie Curie launched the Hour of Need fundraising campaign. Hour of Need was the Society’s most ambitious charity campaign in its 152 year history and enabled Marie Curie Nurses to provide even more vital support for people living with a terminal illness and their families across the UK. The campaign launched with the aim to raise £500,000 by December 2016, which equated to funding an hour of care by a Marie Curie Nurse for every hour of our fundraising campaign. The partnership between Patron Capital and the Royal Marines Charity (RMC) highlights how businesses and charities can work together to achieve much more than either could individually. In addition to extensive fundraising activities, Patron has acted as a gateway for the RMC to the civilian work environment, at all levels and across all sectors – from leisure and hospitality, to construction, to finance. Patron has provided veterans with work tasters and experience, introductions, mentoring and other opportunities to help them rebuild their lives following medical discharge. The long-term, flexible approach of the Patron-RMC relationship is an outstanding example of business-charity partnership. Everton in the Community, the official charity of Everton Football Club, in partnership with Mersey Care NHS Foundation Trust and Edge Hill University have provided innovative, cross-sectoral life-course provision to support individuals with a range of mental illnesses with significant quantifiable outcomes which demonstrates its impact on the lives of the beneficiaries. The partnership’s work is underpinned by co-developed ideas with service users the impact of which is rigorously evaluated by academic researchers embedded in programme delivery. The partnership provides, for the first time, one programme covering preventative, early-intervention, management and treatment of mental illness. Charlotte doesn’t just provide vital support to the leadership of one charity; she is the lynchpin of a coalition of 14 large charities. She is always the first to bring us back to our mission of improving care and support for the millions of people we represent. She brings us together and enables us to be much more effective and strategic than we could be by ourselves. She has displayed huge energy, diplomacy and exemplary multi-tasking skills to support the Richmond Group of Charities and its Chief Executives to be amongst the most influential coalition in health and social care. In 2015, Northumberland Domestic Abuse Services (NDAS) submitted a passionate application to Raw’s annual small charity competition on Christmas Eve. Inspired by their cause and ambition, Raw set out to create an outstanding campaign that would change the way NDAS talk about domestic abuse forever. Through a huge amount of trust and a whole lot of ambition, this unique and trusting partnership helped a small charity reach over 1 million people in 2017, and highlight the impact of emotional abuse in young relationships across Northumberland and the rest of the UK. When Employment and Support Allowance (ESA) and Personal Independence Payments (PIP) were introduced, seAp identified many Hastings residents were receiving inaccurate decisions following assessment and faced reduced incomes and increased stress. They therefore launched a face-to-face disability benefits advocacy support service which proved incredibly successful. In a climate of austerity, recognising funding to extend this more widely would be hard to find, seAp subsequently decided to develop a ground-breaking digital tool, the “c-App” which has enabled them to multiply their client reach by 1,500 times in one year, for just 10 times the level of investment in their face-to-face service. At Rathbones, our goal is to help the charities secure a long and successful future through our individual approach to investment management. Over half of our team are charity trustees, demonstrating commitment and providing invaluable insight into the challenges faced by the charity sector. We are committed to educating and supporting both the current and future generation of trustees through our complimentary trustee training, Charity Symposium, seminars, investment research reports and other innovative client-centric initiatives. Our involvement in projects on climate change and health trends, enables us to contribute to the charity sector as well as our profession in a lasting way. We have a proven track record of meeting and surpassing the performance expectations of the charities that entrust us with their assets over the long-term. 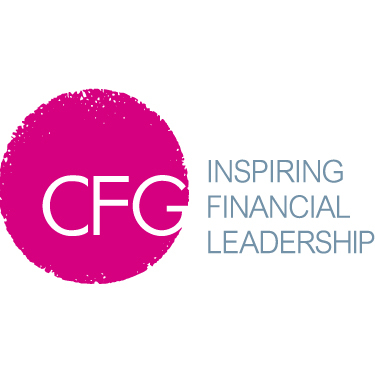 We are the largest manager of charity investments in the UK; evidence of the confidence the sector has in our ability to listen to their needs and meet their requirements. We show our dedication to the sector through the ongoing support, pertinent publications, regular events and training that we offer to our clients. Finally, our 2016 client survey illustrates a high level of client satisfaction. James Hambro & Partners believes in servicing charity clients to an exceptional standard. This is characterised by clear communication and by providing unquestionable and direct access to their investment manager ensuring that all questions are answered in a timely and efficient manner. Many of JH&P’s Partners are trustees in their own right and use their knowledge and experience to design an investment service that not only aims to deliver consistent out-performance but also provides trustees and governors with the support and peace of mind they need to effectively govern their organisations. BWB offers a selection of services to the charity sector that is unmatched by other advisory providers. In addition to our widely-known legal practice, we also offer services in impact measurement, outcomes-based planning and strategy. This allows us to provide a one-stop-shop for many clients.The nature of our client base means that we have to maintain a low cost, high value-for-money structure and this is embedded in every aspect of the service we provide. We never stand still but continually innovate and this can be seen through our new service lines and offerings that have emerged out of our clients’ needs. Our focus on sustainability as an organisation means that we will continue to evolve with our clients for generations to come. Awarded to a person who has demonstrated dedication, professionalism and integrity throughout their career, and who has produced an identifiably profound effect on the sector through their work and management over at least a 20 year period. Submissions are not invited for this special award. It will be determined via a combination of sector consultation and deliberations amongst our panel of independent judges.